The founder of one of America’s biggest record labels has been arrested for murder. 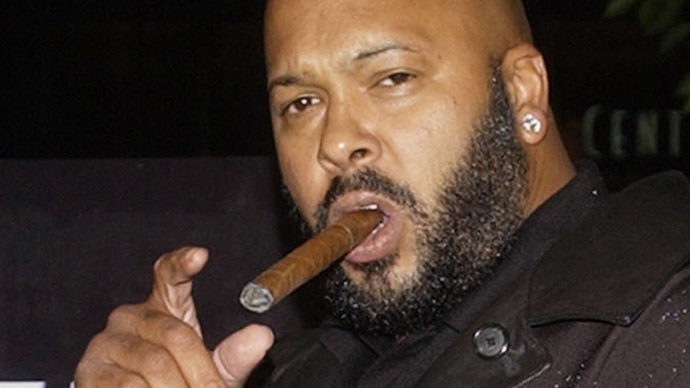 Marion ‘Suge’ Knight, the creator of Death Row Records, is being held following a fatal hit-and-run incident in Los Angeles. Sergeant Diane Hecht from the Los Angeles County Sheriff’s Department said Knight was arrested at 03:00 local time and is being detained at West Hollywood sheriff’s station on $2 million bail. The music producer handed himself into police earlier Friday and was interviewed by detectives. Police were treating the incident as homicide, in which one man was killed and another left needing hospital treatment after a red pick-up truck struck the men, ages 51 and 55, on Thursday afternoon in the parking lot of a fast-food restaurant in the district of Compton. A witness, who saw Knight involved in a quarrel with two men said, "To see the argument happen, it's one thing," 17-year-old Robert Smith, who was eating in the restaurant. "Seeing the car incident, that was shocking," AP reported. Knight’s lawyer, James Blatt, said he ran over a friend who died from his injuries, and another man who was taken to hospital as he tried to flee attackers. “We are confident that once the investigation is completed, he will be totally exonerated," Blatt told AP by telephone. "He was in the process of being physically assaulted by two men and in an effort to escape he unfortunately hit two [other] individuals," the lawyer said. "He was in his car trying to escape," his attorney added. In August, Knight, who helped to develop the careers of music legends Dr. Dre and Snoop Dogg, was shot six times at a MTV awards party in Los Angeles. He was released from hospital just three days later. He also suffered gunshot wounds in 2005, at a party hosted by rapper Kanye West.